→Do Reputation Problems Affect Your Search Rankings? Truthfully, there can be quite a few things online that are harming and damaging your company’s reputation. These also affect your online rankings. But you’re likely to come across some very common ones. For example bad reviews are major reputation problems that affect your search rankings. If trusted professionals in your industry don’t respect you, they may be likely to say so and give negative publicity to your company. And if that’s the case, customers may come across that when searching for you, and might believe what they read. Google does notice this and may not view your business as trustworthy. Left unattended this can cause potential customers to choose your competition over you. If your company has been involved in a scandal (tax fraud, customer disputes, etc.) even if it happened years ago and when the company was under different ownership, it could still be lurking out in cyberspace. And it could be potentially damaging for your company and it's rankings. If you have ever had a disgruntled employee leave your company, or you’ve ever had a run-in with a particularly unhappy customer, it takes nothing for them to start a website and start posting all kinds of bad reviews about your company. Potential customers researching your company will find these negative reviews and many will end up going to your competition. And of course the search engines consider these negative reviews when determining your ranking in their search results. Hate sites can be extremely detrimental to your company’s reputation, and it’s important that you do what you can to get them taken down as soon as you can. If your competition doesn’t believe in fair business practice and doesn’t hesitate to play dirty, they may openly attack you on their own website in order to lure customers away from you and start working with their business. This is something that should never be done and if someone is using these tactics against your company, there may even be legal action that you can take. The important thing is that you find these online attacks and take care of them as soon as you can. Complaint sites are different from hate sites in the way that they don’t have to be created by a specific individual or group that is unsatisfied with your company. Instead, they may be sites such as the Better Business Bureau, where consumers are encouraged to leave third-party reviews and testimonials for certain products and services. It’s important when you’re searching for negative reviews and comments about your company that you also look to any organization that works with public consumers. 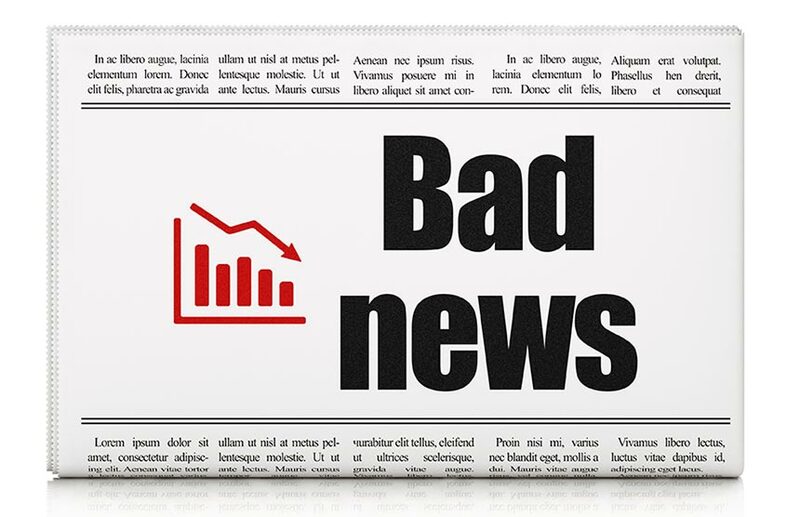 If something hits the news, the chances are good that it’s going to be everywhere, and that negative news story could follow your company, and your online brand, wherever it goes. Word of mouth can be a company’s best friend, but it can also sometimes be like playing the telephone game. Someone says something slightly negative about your company (or is simply misunderstood when speaking about your business) and that information gets passed from person to person. As it does, it gets changed a little each time, and that can end up to a lot of misconceptions and false information being published about your company. On the other hand, you could just have someone with a grudge against the company that publishes blatant lies. Whatever the reason for the false information, it’s a big problem, and one that needs to be fixed immediately. Today's consumer learns about products and services they're interested in using online search engines. Having a top position in Google, Bing & Yahoo can bring you new business. An influential Google ranking factor is the amount of people clicking through to your website. Bad reviews can increase the number of people who decide not to visit your site. This not only costs you possible customers, but can lower your ranking in Google’s search results. Ending up on page 2, 3 or lower is like being banned to non-existence, since most people never look past page one. So once you know what the biggest and most common online reputation management problems are, and you’ve identified where these problems lie online for your company, the next step is to learn how you go about fixing them.